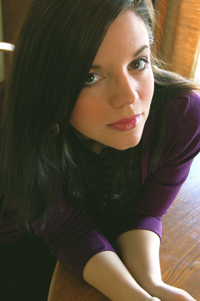 Abra Mueller, Mezzo-Soprano, has been a member of the St Mary Schola since its inception in 2008. She began her studies as an ensemble performer with The USM Chamber Singers, under the direction of Dr. Robert Russell. After graduating with a degree in Music Education, she continued to sing with Dr. Russell as a member of The Choral Art Society until 2015. For the past two summers she has attended the Madison Early Music Festival as a Young Artist and event organizer, studying medieval polyphony and performance practice. In the fall, Abra will begin graduate studies in preservation and archiving at Simmons College, with a concentration in Medieval and Renaissance manuscripts.